Abul Rizvi, a former deputy secretary in the Immigration department, has said that Prime Minister Scott Morrison’s move to reduce Australia’s migration intake by about 30,000 people will have little impact on congestion problems. The national immigration intake cap has been set at 190,000 since 2012-13. In most of those years, the actual intake reached cap, however in 2017-18 only 163,000 permanent arrivals were accepted into the country. The Prime Minister’s announcement to cut Australia’s permanent migration intake by about 30,000 people each year was delivered on Monday night at the 2018 Bradfield Oration in Sydney. "They are saying: enough, enough, enough," Morrison said. "The roads are clogged; the buses and trains are full. “I hear what you are saying. “I hear you loud and clear." Morrison’s remarks reflect a stark change in attitude toward the issue of permanent migration. As Treasurer under former Prime Minister Malcolm Turnbull, Morrison strongly opposed calls from Tony Abbott to reduce migrant intakes. Although Morrison on Monday affirmed the positive impact of migrant intake on Australia’s economy, he identified major congestion problems in the east coast cities of Melbourne and Sydney, saying that he believes that the current pattern of population growth is unsustainable. “Over the two decades to 2016, our national population grew by six million and migration made up 54 per cent of that increase,” he told the audience. “It is a key reason why we have been able to sustain strong growth in our economy and national incomes that are the envy of the developed world, contributing almost a fifth of the growth in Australia’s GDP per person over the past 30 years. “In 2016-17, Sydney’s population increased by 107,000. “In other words, Sydney grew by almost 2,000 people a week, every week: a suburb a week,” he said. 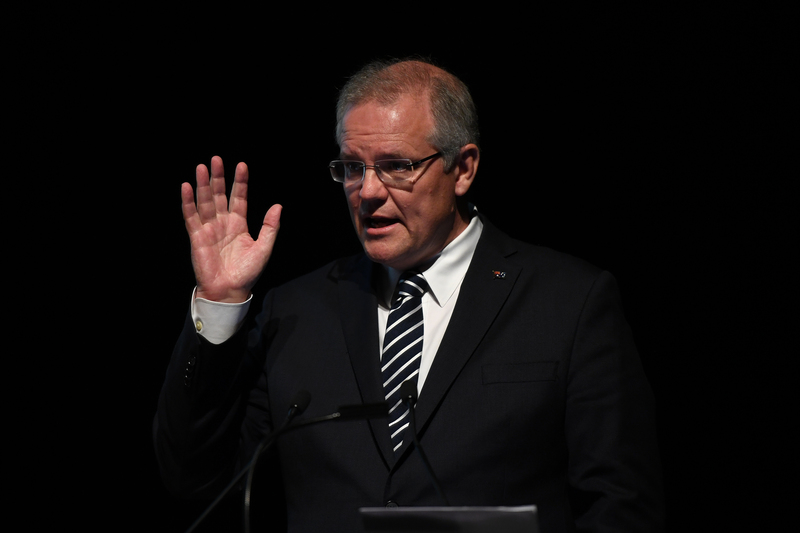 “Of that, overseas migration claimed the lion’s share – with 90,100 people,” Morrison continued. Morrison identified a major problem in the old model of a single, national cap, saying that it is no longer working for the country. He wants inputs from the states and territories before the federal government sets its annual cap. “The states and territories know better than any what the population carrying capacity is for their existing and planned infrastructure and services,” he said. But Mr Abul Rizvi has said that the real pressure on Australia's highly populated east-coast cities was driven by a surge in international students, while the permanent intake has remained fixed for many years. "Overseas students are the big factor that has grown as a portion of the net migration intake, and the vast majority of them do indeed settle in Sydney, Melbourne and Brisbane," he said, emphasising that a change in permanent migration will therefore have "minimal" impact on congestion. According to a report published by the Swinburne University of Technology, 8711 Italian nationals were granted permanent visas in Australia in 2014-15, while 126,233 Italian nationals were granted temporary visas.